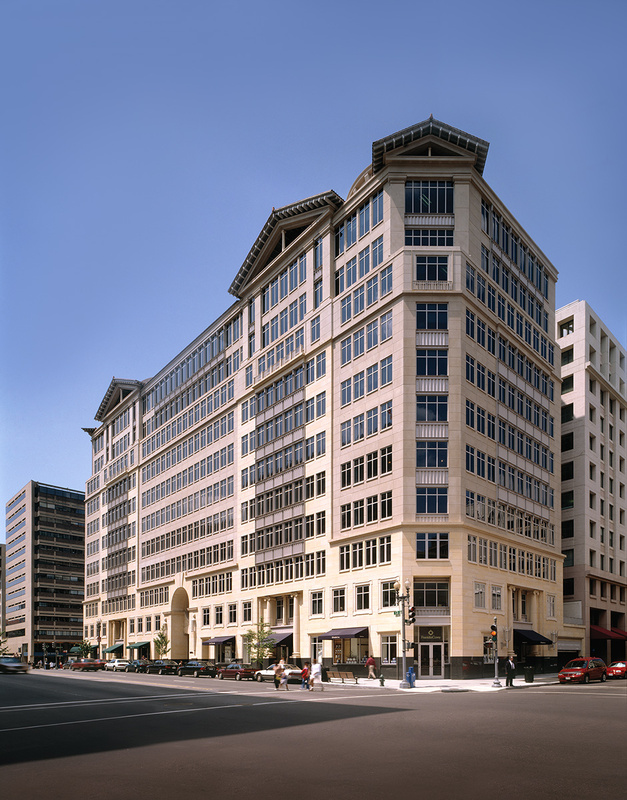 This new tower was designed to evoke the solidity and straightforward elegance of 1950’s commercial buildings with an exterior clad in limestone, granite and architectural pre-cast concrete. 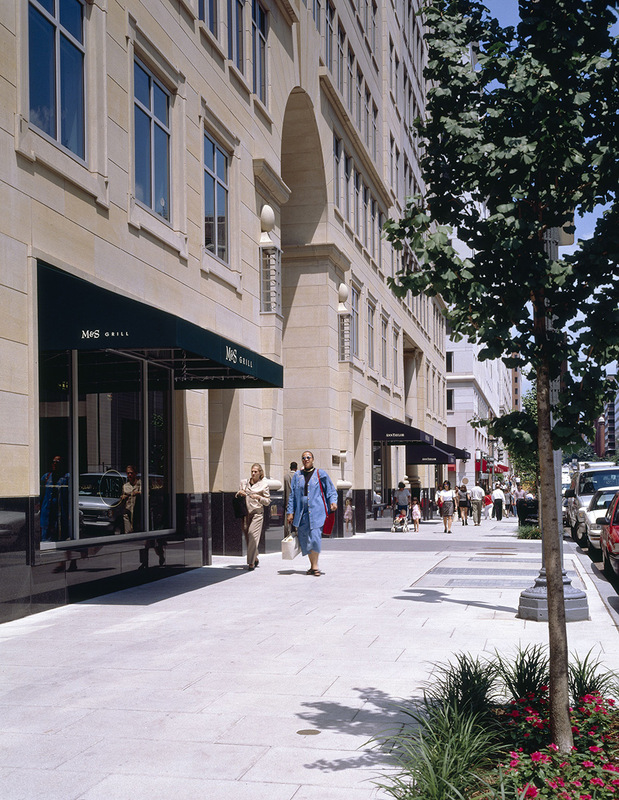 The double-height expression of storefront windows gives a distinctive base to the building while providing retailers generously proportioned display windows facing all three street frontages. 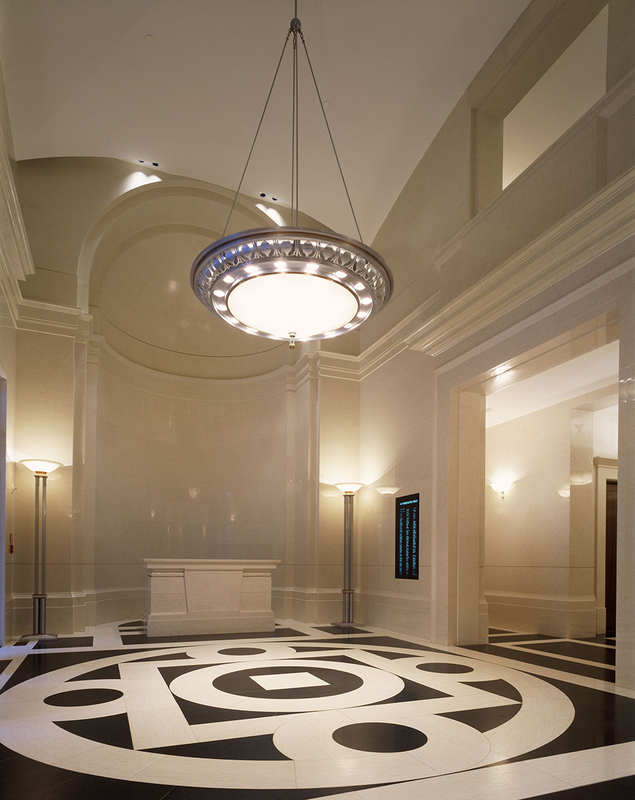 The Main Lobby is finished in marble with custom-designed eight-foot torchieres, a grand chandelier and wall sconces. 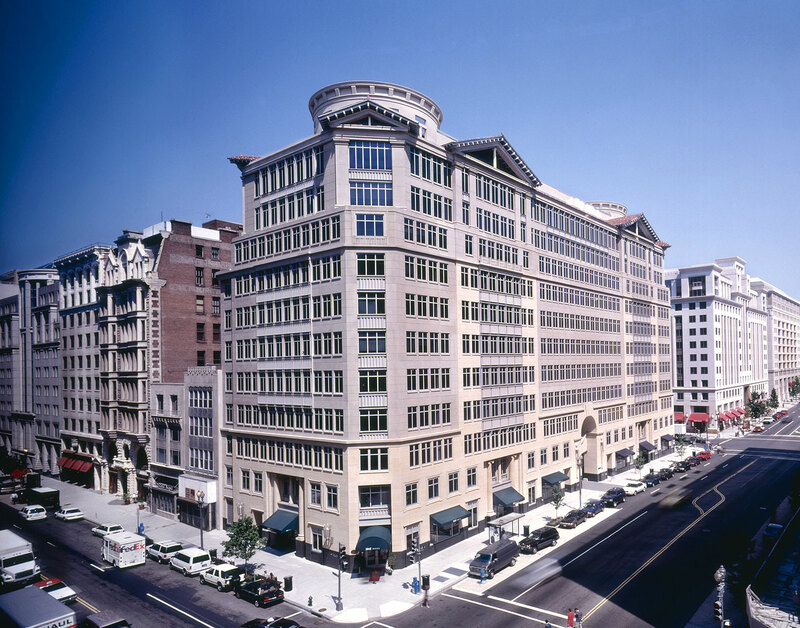 Tenant amenities include 20,000 square-feet of on-site retail, a white-tablecloth restaurant, an underground garage with parking for 150 cars, and access to the Metro subway through a station directly across from the building entrance.